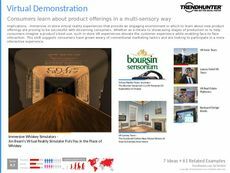 Find Better Ideas, Faster ® with a custom in-store technology trend report, our PRO Dashboard and 80+ categories of premium trend reports. 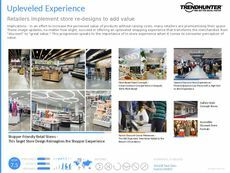 The In-Store Technology Trend Report illustrates how top-tier brands are transforming their interiors to enhance the retail experience for customers. 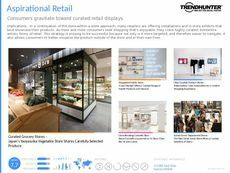 To compete with the rising popularity of online shopping, retailers have been forced to create memorable in-store experiences through interactive displays, reactive kiosks and projected technologies. 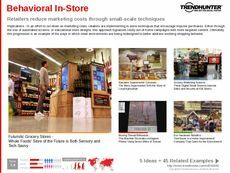 This report details innovative case studies in this field, shedding light on how retailers are creating a more immersive in-store environment. 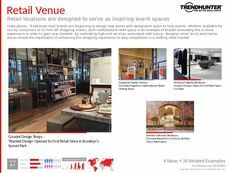 This report caters to retail executives, interior designers, customer service professionals and tech developers. 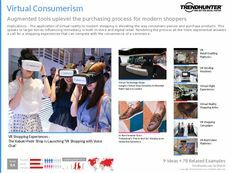 As brands and retailers continue to experiment with in-store technology, use our crowdsourced research to help distinguish what specific types of innovations are attracting more consumers. 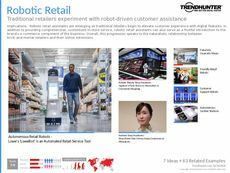 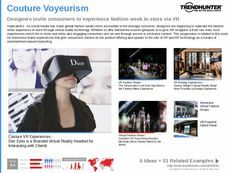 Whether you are keeping an eye on industry trends, or aiming to bolster your retail experience, the In-Store Technology Trend Report is filled with insight and inspiration.